If you're suffering from aches, pains or restricted movement, osteopathy can help provide relief and get you back to doing the things you enjoy, whatever your age. What's more, you don't need to go further than Palewell Common to find local osteopath, Robyn Phillips. Robyn holds a Masters in Osteopathy from the British School of Osteopathy and is registered with the General Osteopathic Council (GOsC). She is a member of the Institute of Osteopathy and is, of course, fully insured. She also holds a Diploma in Sports Massage and often incorporates massage and taping techniques into her treatment plans. Osteopathy is a system of diagnosis and treatment for a wide range of medical conditions. It is probably best known for its help with musculoskeletal health, particularly back pain, and is based on the principle that the well-being of an individual depends on the skeleton, muscles, ligaments and connective tissues functioning smoothly together. 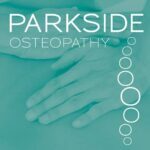 Following an initial consultation to understand the cause of your symptoms and to establish that osteopathy is the most suitable treatment, Robyn will work to restore your body to a state of balance using a variety of techniques including touch, physical manipulation, stretching and massage. These are aimed at increasing the mobility of joints, relieving muscle tension and enhancing the blood and nerve supply to tissues, thereby helping your body’s own healing mechanisms. Robyn may also provide advice on posture and exercise to aid recovery, promote health and prevent symptoms recurring.